Mermaid, it’s a happening place. 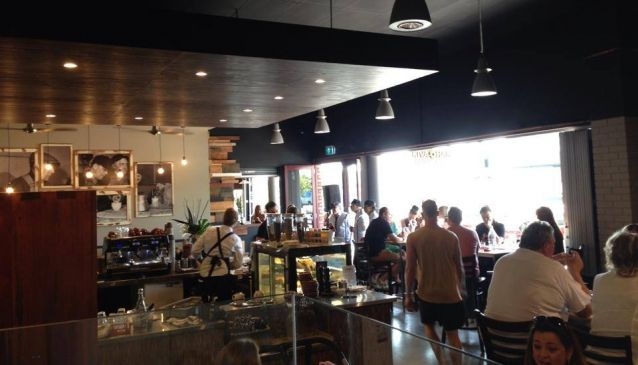 The surfy, sleepy suburb is slowly picking up its pace with more and more cafes and restaurants popping up. Set between Broadbeach and Nobbys, the stretch of beach is a central pin point on the Gold Coast map. Known for Hedges Avenue, the most expensive strip of real-estate on the sand, with a wide pedestrian path that runs along the line of mansions, it’s the place to be seen, whether you’re walking, running, cycling or skating. Although predominately a residential area, this little sector is picking up its street rep. Vintage cafe kicked it off long ago by being one of the first cafes on the coast to step away from the commercial feel by adding character to its layout with recycled mis-matched furniture. It created quite the buzz when it first opened and still continues to maintain its popularity. 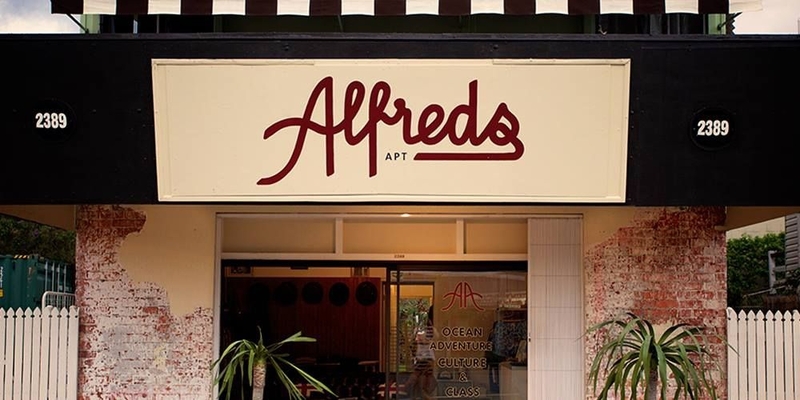 Alfred’s Apartment took over the pale green building around the corner from Vintage on the Gold Coast Highway. Starting out as a mens apparel store it has since turned into a barbers and a cafe. 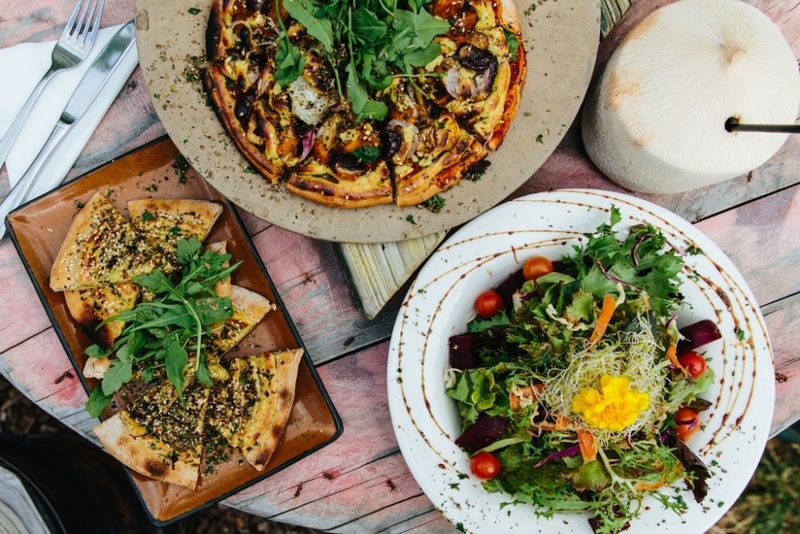 The cafe creates a backyard picnic type of vibe, with picnic tables, rugs and pillows, maroon sun umbrellas and good coffee. You can get meals for under $15 and enjoy the sun and some company while you eat it. With a 60’s feel Sunday mornings are a treat. The backyard cafe fills with locals, some cruise down on their bike, others walk their dog and there’s always a skater or two that will roll in. Rumour has it that soon you’ll be able to sink a few drinks here on a Friday or Saturday night in the summer. Also dotted along the Gold Coast highway is Kiva Han Roasting House. 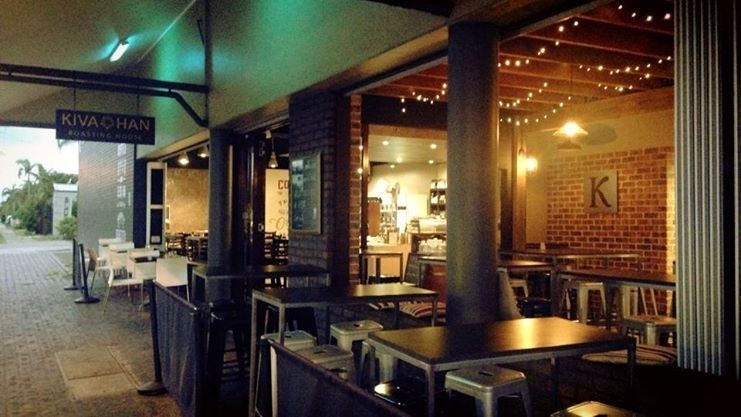 It’s organic coffee roastery attracts the sophisticated breakfast connoisseur to the casual beach goer, walk-in. Thursday to Sunday Kiva Han does the sneaky switch to K-bar & Meze Tapas bar and restaurant. A block over holds Skull & Bones Espresso Boutique. An alley like cafe with a recycled feel and music always beating. Their coffees are smooth as it gets and bagels are their thing when it comes to food. Their Skull & Bones logo is stamped on their cup, often seen all over instagram with the 4218 Mermaid beach postcode bold and proud. Next door is a skate store called Sneak & Destroy with some cool labels, it’s always worth a look. Across the road is the popular organic arts cafe Mandalas known for its pizza and live music. The space itself seems a bit mismatched but for some reason it works, with a little stage down one end, a scatter of tables, lounges and armchairs and an outdoor garden, it creates a peaceful atmosphere for you to munch down all that raw organic goodness. Bangkok Thai is the block over, also on the Gold Coast highway and definitely deserves a mention for having possibly the best Thai on the Gold Coast. So fresh and so full of flavour, it’s never a bad decision. Now if you like Mexican, Bonita Bonita has this in the bag. Also along the Gold Coast Highway, Bonita Bonita has made the grungy square off Glenelg Ave its own. With a glowing red neon sign and its impressive feature wall dotted with many flickering candles, crosses and Frida Kahlo shrines, you would go for the atmosphere alone. The food is cheap, rich with flavour, and the Sangria is tasty with an interesting kick of cinnamon. Mermaid Beach is a warm little community and when the waves are good the locals will spend all day in the water. A thank-you is deserved, as it was without doubt those hungry bellies that booted the suburb into the demand for good food and a fun atmosphere.